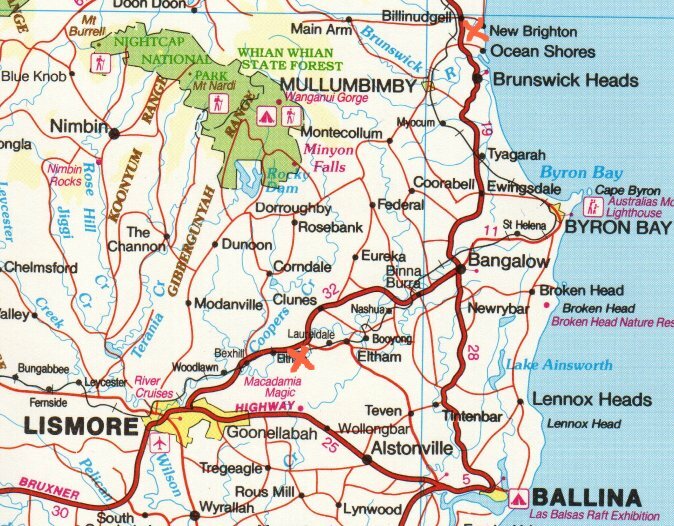 Location map for the McLeans Ridges and New Brighton funnels on 16th June 2000 [149Kb]. 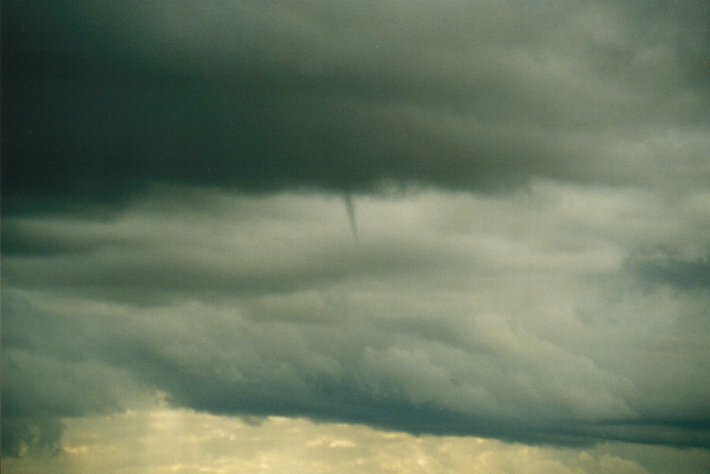 At 2.45pm I happened to glance north from my home at McLeans Ridges and a well defined thin funnel cloud extended about 100 metres downward from the cloud base - and only about 3-4 kilometres away. I was quite surprised to see this given the conditions, but quickly grabbed the video and camera. Over the next 15 minutes it persisted varying little in length but undergoing several transformations in width and angles, persisting in virtually the same location. 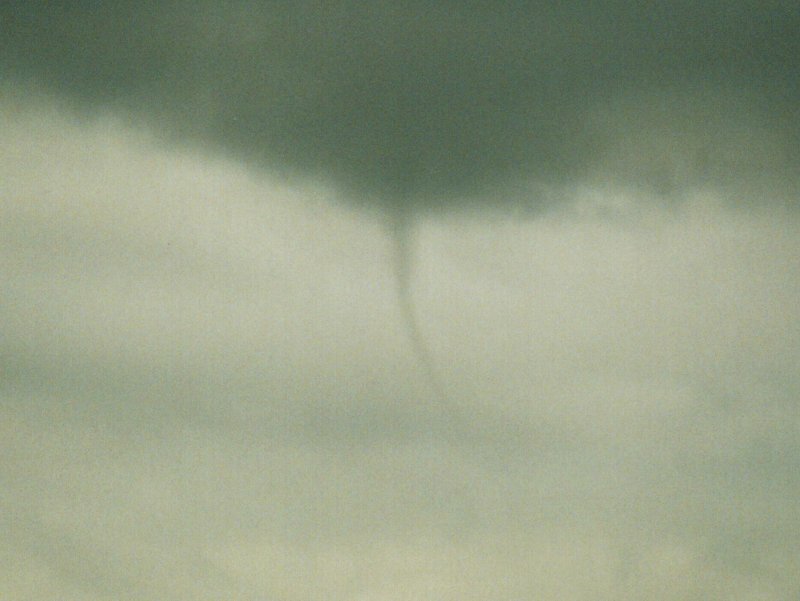 At one stage scuds wrapped around the funnel and this and the rotation is quite noticebale on the video footage. 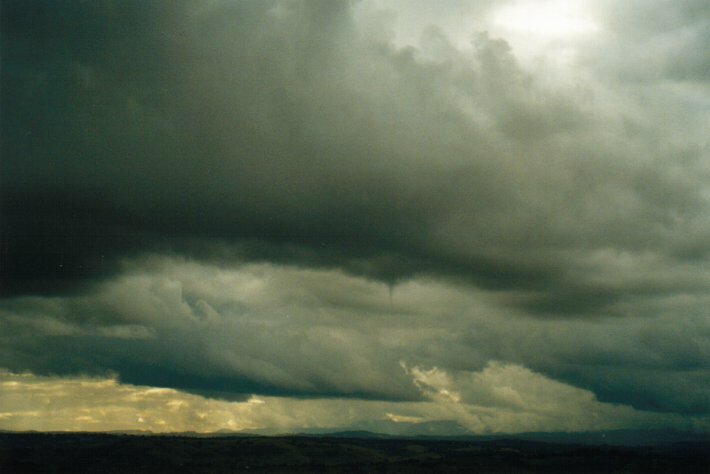 It occurred on the SE side (updraft) of a moderate sized cumulus spreading out at the top into altocumulus. Cloud depth was probably only 2km, and cloud base at about 700m. A few of these larger cumulus were around at the time but in a clearing pattern with thinning stratocumulus now persisting (3.40pm). 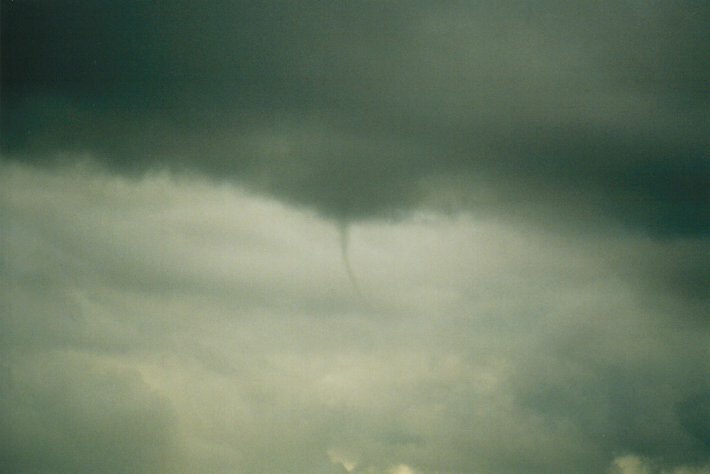 There was barely a shower in the area at the time of the funnel and only a light ESE blowing at surface. Quite an amazing sight given the generally boring look to the sky today. The sequence below is of five photos, originals on the left and zoomed in scans on the right. 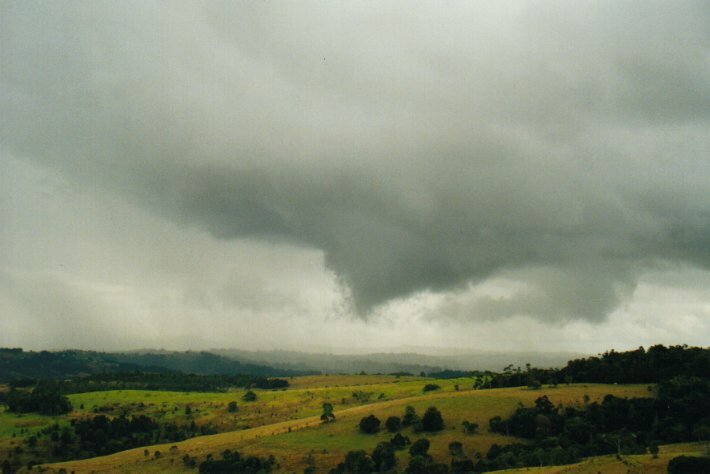 Seems like those large very wet cumulus on the far north coast of NSW must have been funnel-productive! 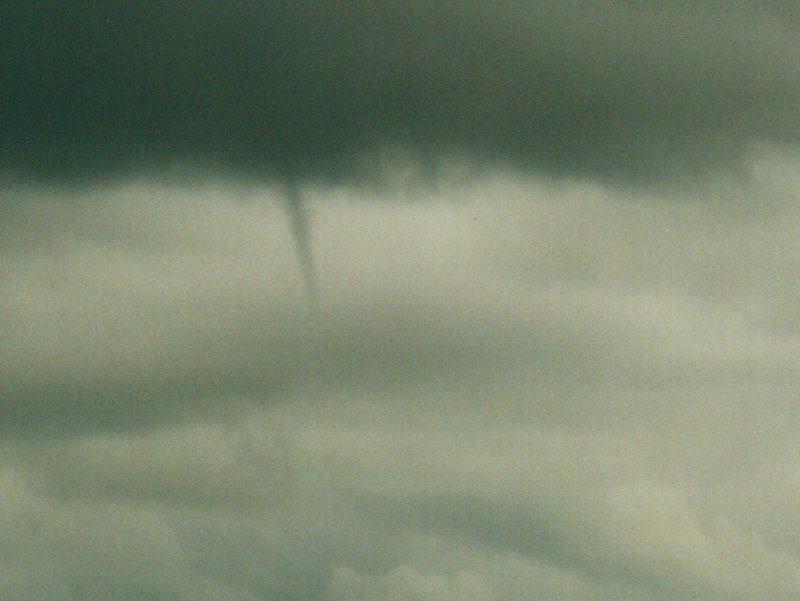 I was returning south from the North Coast cross country championships in Murwillumbah with my daughter, Jenna, when we also noticed a well-shaped funnelnear New Brighton at around 2.30pm. 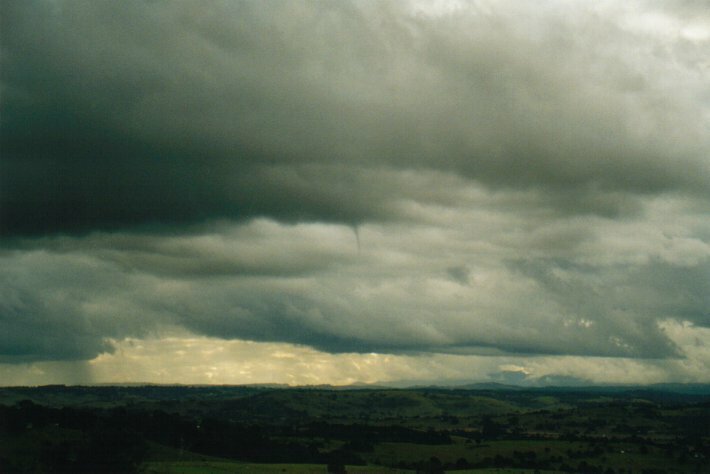 We left Murwillumbah after enduring intermittent drizzle but noticed excellent cumulus bubbles to the south-east and, as we headed south, a distinctive lowering at the base of one cell seemed to have a funnel so I asked Jenna to check it out. It was difficult to get a good view due the crappy road and you don't take your eyes off the speedo (camera zones) or the road in that neck of the woods! 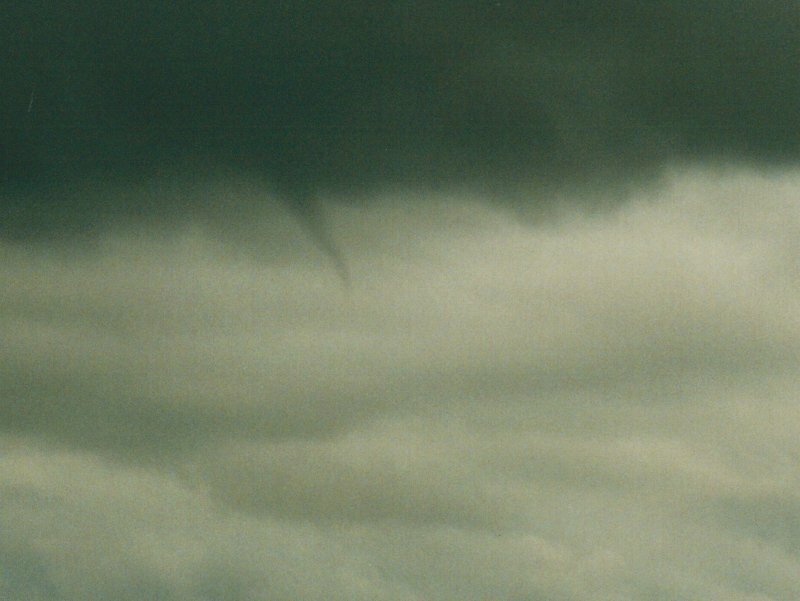 But Jen assured me that the funnel extended way down. By the time I reached a better vantage point to have a good long look myself, I was underneath the neighbouring cumulus - pouring rain! 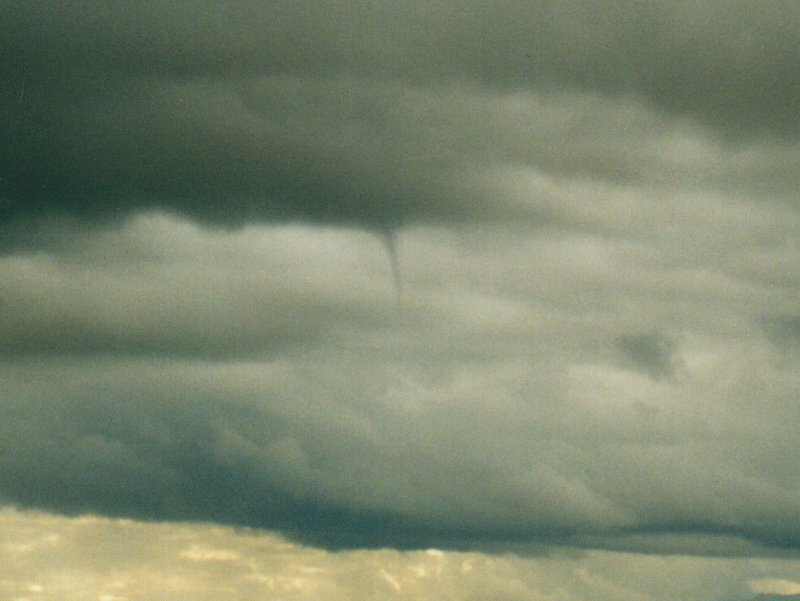 Further south, near Wardell, the onshore feed of showers had its southern limits and some of these showers had all the signs of potential funnels too with scud lowerings and evident rotations but I had to head south. 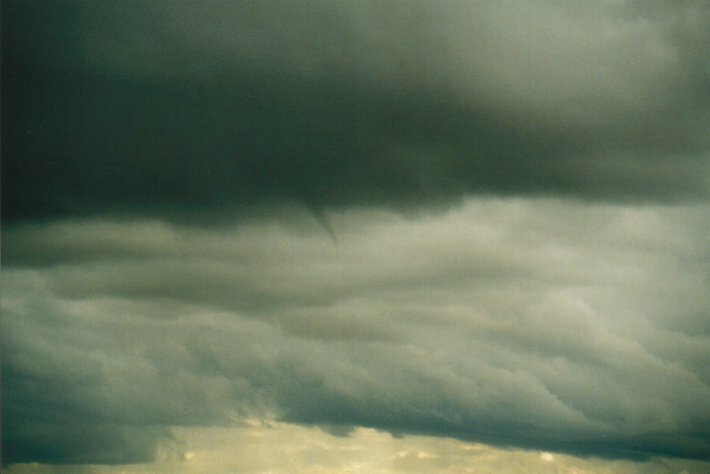 I would expect that the odd water spout was reported.